Description: A somewhat long winded TA render. Requires viewing with red and cyan 3D viewing glasses. Looks great. 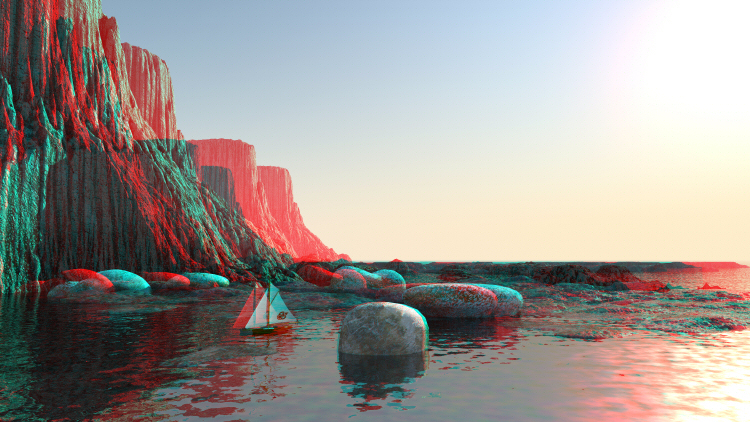 Viewing as anaglyph makes it appear as if the camera position was nearer to the water. This is an interesting effect.